It's easy to get a long service life out of your micro linear actuators. Actuonix devices are built to last and each unit is tested before it leaves our facility. That said, there are a few things that you need to keep in mind to get the most possible life from your linear actuators. As with any other electronic devices, they're designed to be used in a specific way. If they are installed or operated in a way other than intended by the manufacturer, it's possible to cause your actuator to fail early. Follow the advice below to maximize your investment and get the most out of your actuator purchase. 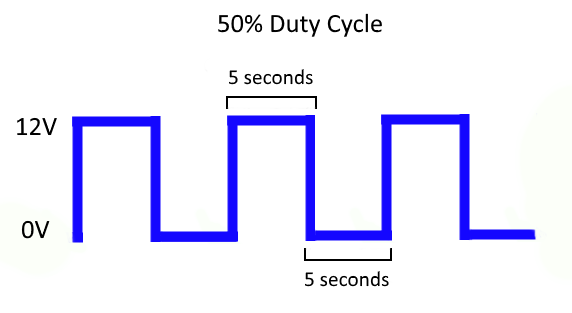 Duty cycle is basically how much of the time an actuator is operational stated as a percentage. A duty cycle of 20% means that an actuator is rated to be in operation 20% of the time. For more information on duty cycles check out this article. The duty cycle of an actuator as indicated on the data sheet is designed to give you the best balance of usability and lifespan. If your actuator has a 20% duty cycle and you run it at 30%, it will probably do that just fine for a while, but over time it will shorten the life of the device. Standard linear actuators are designed to push and pull a load. They are not designed to be side loaded. Side loading an actuator can significantly reduce it's life by increasing the internal friction which wears out the components much faster. 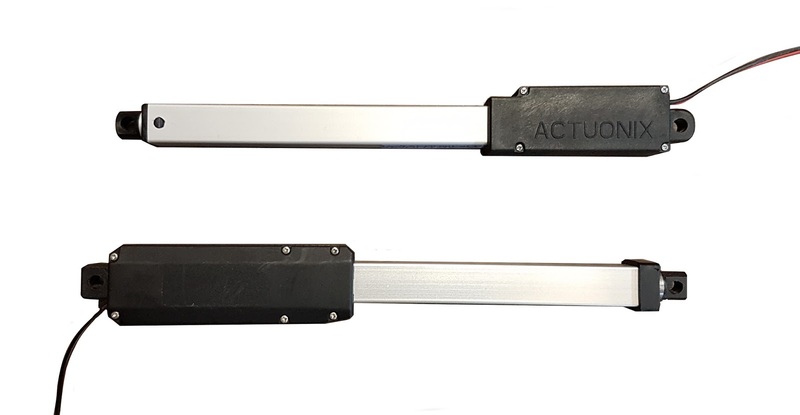 If your application puts the actuator in a position where a side load will be present, consider using a linear slide rail in conjunction with your actuator. Another solution would be to use a track actuator. Track actuators are designed to take some side load and are idea of these types of situations. Actuators have a rated voltage for a reason. If you apply more voltage than is recommended for a unit it may run faster for a while. Ultimately however, this will shorten the life of the motor and cause premature failure of the device. It is better to purchase an actuator that is rated for the voltage that you intend to use or alternately, find a way to reduce the voltage in your application. 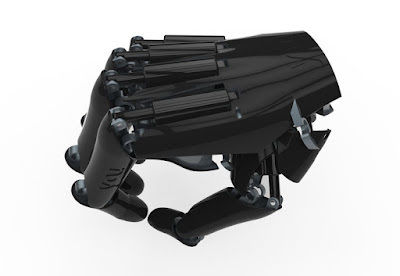 All things being equal, the lower the force that your application requires, the longer your actuator will last. 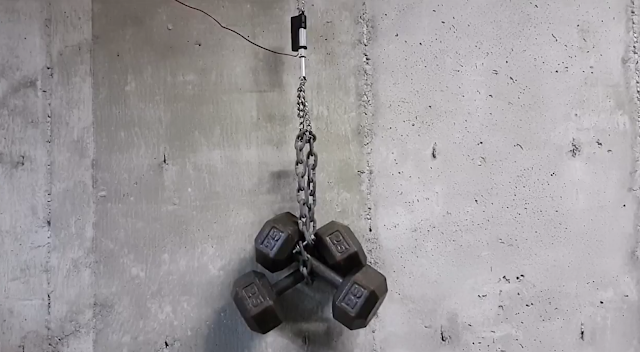 An actuator rated for a 20lbs max is capable of pushing/pulling 20lbs of force. It is recommended that you operate your actuator as far below the max rated force as possible for maximum lifespan. If you require a high force consider moving up to a higher gearing ratio. This will reduce the speed of the device but increase it's lifespan. It's best of avoid using actuators in environments with extreme heat, cold, dirt or dust and moisture if possible. There are situations where a customer's needs can be accommodated. For example, in the past we have actuators with custom gear lube for low temperatures. For more information, check out our custom linear actuator page. For some applications, an actuator can be modified to work in extreme conditions or placed in an enclosure for protection. Before placing an actuator in an extreme environment make sure to check with the unit's manufacturer and ensure that it can handle what you're asking of it. If you follow the above recommendations and treat your micro linear actuators with care, you should get a great service life out of them. Micro linear actuators can be found throughout the healthcare industry. You often can not see them in the devices that help keep us healthy but they're discreetly performing critical functions behind the scenes. Medical applications range from simple tasks to more sophisticated, challenging applications that require more precise movement and greater force. This industry is projected to see steady growth through 2023. 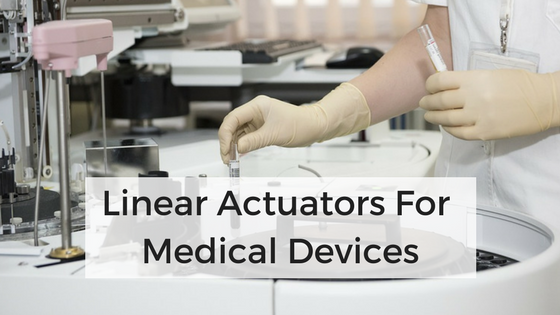 As this industry continues to grow, we are committed to helping manufacturers increase their profits with our ever-increasing line of high-quality linear actuators for medical devices. We all know that the cost of health care is always rising. There are of course many reasons for this but one primary cause is that medical component manufacturers charge hundreds and even thousands of dollars for small linear actuators. These devices are of course high quality and rated for use in the health industry but do these parts really need to be so expensive? 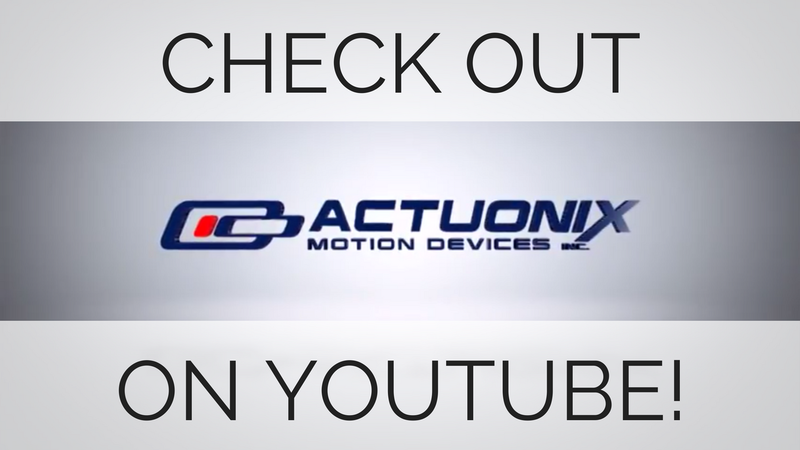 Actuonix Motion Devices takes pride in producing low cost micro linear actuators for medical devices and other applications. For years we have been proving some of the top medical device manufacturers in the world with micro motion devices for testing and positioning as well as many other applications. Our customers are in many different areas of the medical industry including optical, dental, medical devices and prosthetics to name just a few. At Actuonix, we carry a line of more than 160 unique models to suit your individual needs. It's likely that we have a device that will suit your application right off the shelf. Some manufacturers however require more precise stroke lengths, clevis end-tips, control wires or other custom features. For those companies we offer a custom linear actuator design service. For years, high-volume manufacturers have trusted Actuonix to provide them with the custom linear motion solution they need. 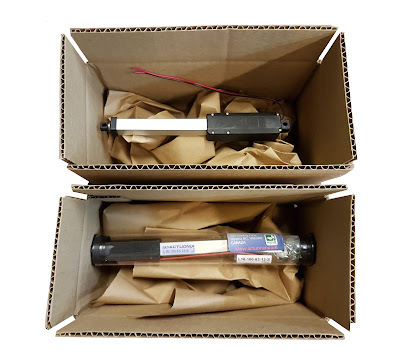 Our custom modifications range from custom cable lengths to different gearing ratios for more powerful micro linear actuators as well as custom stroke lengths and connectors. Whatever it is that you are designing, our team of engineers will work with you to build the perfect linear motion solution for your medical application. Micro electric actuator advancements are changing how medical equipment designers approach their designs. Medical institutions are demanding smaller sizes, more power and lower costs. At Actuonix, we have an actuator that will strike the ideal balance of power, size and cost. More models are always in development as we strive to offer the best selection of affordable micro linear actuators for the medical industry. If you need help choosing an actuator that will suit your application, don't hesitate to contact our sales team. They are happy to assist you in choosing the micro motion device that will best suit your specifications. Linear actuators come in hundreds of different varieties. 6V, 12V, 24V, different stroke lengths and control options etc. There's a lot out there to choose from. It can still be difficult however to find a device that suits your specific needs. In a previous post we covered how to adjust linear actuator end limits. Today I'm going to show you four ways that you can adjust the speed of a linear actuator. Depending on your needs, skills and budget, you have some options. A linear actuator control board gives you control over an actuator's speed, end-limits and sensitivity. 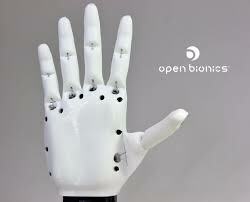 It also gives you the option of controlling your actuator with one of five different input signals. 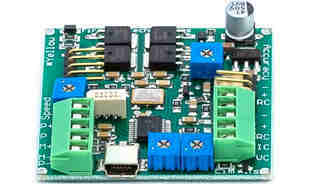 An LAC board can only be used with Actuonix 'P' series micro linear actuators, as well as some large-scale actuators that have position feedback. The board has a pot that is used to control the speed of the actuator. The maximum speed can not be increased this way but it makes it easy to slow an actuator down. 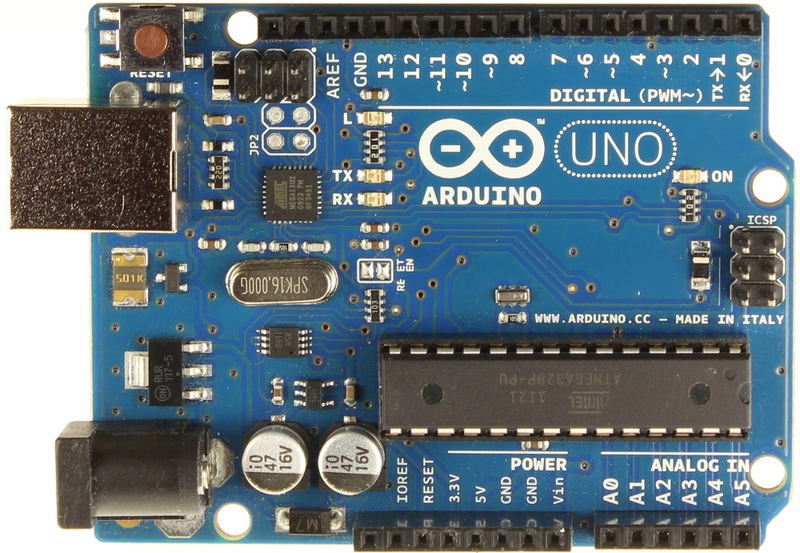 If you're controlling your actuator via Arduino, you have some control over the speed at which it travels. 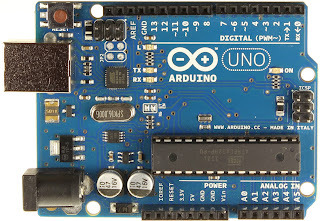 The code you use is going to be specific to your project but a discussion on the topic can be found on the Arduino forums here. A simple way to lower the speed of a linear actuator is to reduce the voltage at which you drive it. The speed of Actuonix actuators is approximately proportional to voltage. This means that if you were to drive one of our 12V actuators at 6V, the speed would be roughly half of what it is a 12V. This is approximate but if you have access to an adjustable power supply you can dial your voltage down to get the speed you need. I realize this doesn't exactly qualify as "adjusting" actuator speed but it's worth noting. Actuonix models come in several different gearing ratios to help accommodate the speed and force specs of your project. For example, the three gearing ratios in our T16 linear track actuators offer speeds of 4.8mm/s, 18mm/s and 46mm/s. Simply using a different gearing ratio can bring you much closer to the speed that you're trying to achieve. If you can find a gearing ratio that works for you out of box, that's the best case scenario. If you need control over the speed it's best to purchase an actuator that's a little faster than you need as you can slow it down without damage. Trying to speed an actuator up by increasing the operating voltage will more than likely decrease the lifespan of the unit. Need help choosing the correct actuator for your project? Contact our knowledgeable sales staff for assistance.